Ongaku Overdrive is excited to announce that the follow up to last year’s MEGA MANIA will be Power, Wisdom, and Courage: A Tribute to Zelda. 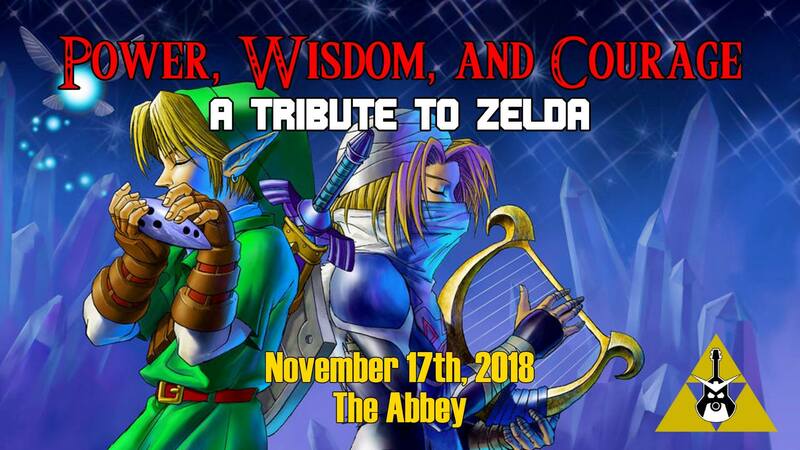 This incredible event will take place Saturday, November 17th, just days before the 20th anniversary of Ocarina of Time. The location will be The Abbey, a wonderful entertainment venue located right by Orlando’s iconic Lake Eola.